Stay updated about future shows. @gabriellopitman My friends & I enjoyed your show. 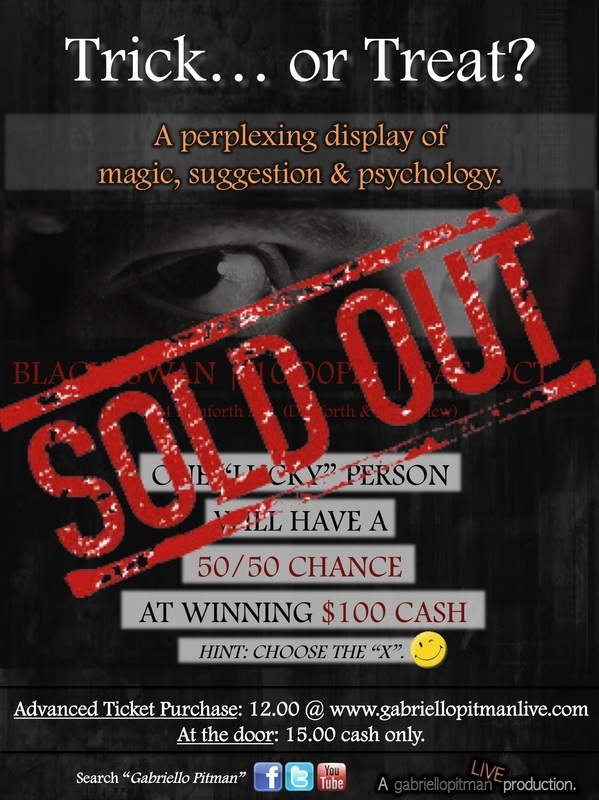 It was fun, interactive... & left us wondering how you pulled off some of your tricks! 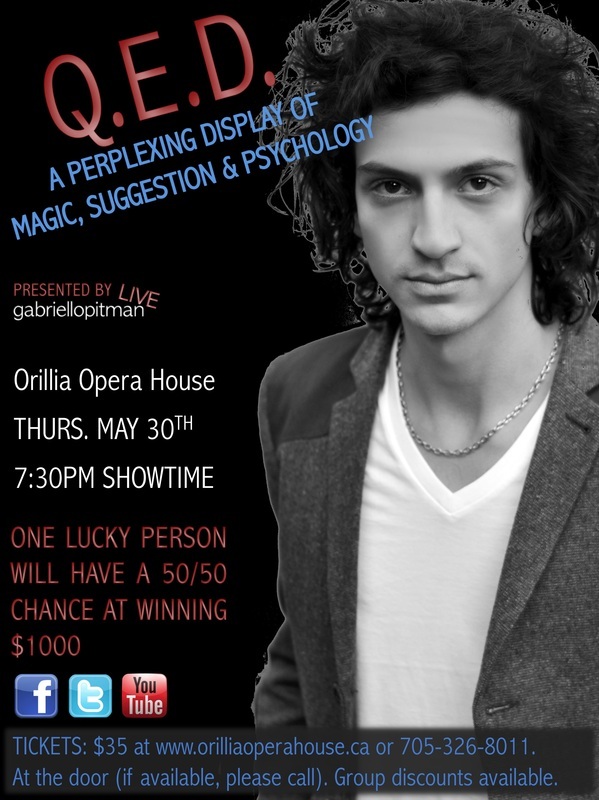 Went to see @gabriellopitman tonight at the Orillia Opera House....can I say mind blown? If you have a chance to check him out do it! Due to private/corporate function commitments at this time of year, we currently don't have any public shows scheduled until 2013. Please check back here from time to time in case that changes, or simply join the mailing list below to be informed automatically.